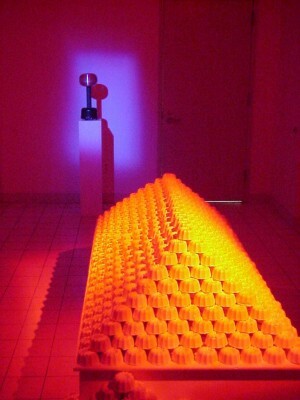 Everythingness (Unfeeling)is an installation based on research related to the culture of the drug ecstasy. The central installation consisted of 1500 multiples made of plaster, that were a hybrid between an ecstasy pill and a volcano. 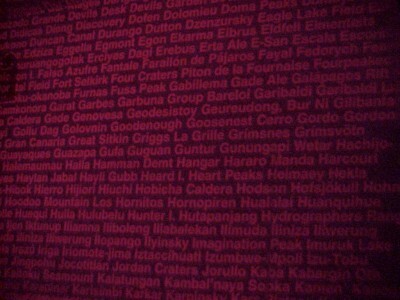 On the wall, the 1500 names of all the volcanoes in the world where projected. 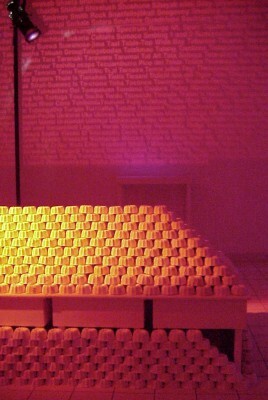 The installation was a reflection on both natural and artificial ecstasy, and the paradoxical relationship with time that the experience of ecstasy brings with itself (in the words of an ecstasy user: “ I have nostalgia for the moment I am living”). 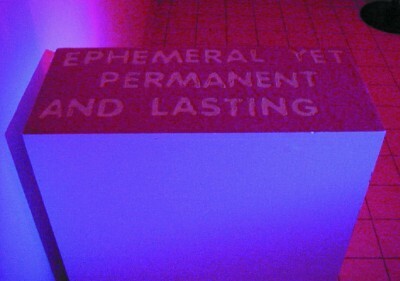 A sand writtend text welcomed the audience into the environment, with a quote by XVIIth century Spanish poet Francisco de Quevedo: “Ephemeral, yet permanent and lasting” (“Lo fugitivo permanece y dura”). A Van Der Graaf Generator in the end of the installation provided a soundtrack that pretty much replicated the feeling of a techno dance club, a common haven for ecstasy culture. mind-altering substances for soulful enlightenment. control our level of happiness. his faith first and foremost in the value of the images to direct the story.